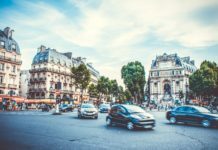 Paris officials are announcing record fines for serial renters using the service as lawmakers near the adoption of a new law that would make the American company liable for thousands of unregistered listings on its site. The stakes are high: France is the world’s most-visited country, and Paris is reportedlyAirbnb’s single-biggest city market worldwide. Last week Ian Brossat, who’s in charge of housing at Paris’ city hall, said that fines this year for illegal online rentals have already reached €1.38 million, surpassing the total for all of 2017. Brossat told POLITICO that such rentals diminish the city’s housing stock, drive up rents, and can transform residential communities into tourist traps. The Paris crackdown coincides with broader efforts to rein in unregulated peer-to-peer renting on one of the sharing economy’s star platforms. Barcelona is buildinga 100-man enforcement squad to track down unregistered Airbnb hosts, and fined the site itself €600,000 last year. Berlin, which all but banned the service in 2016, reopened its market in March with a 90-day annual cap on short-term rentals. The trouble for Airbnb stems from French rules that forbid residents from subletting their property for more than 120 nights per year and requires them to get the written consent of landlords. 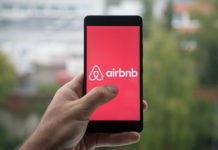 To shore up enforcement of such rules, the city hall passed a measure in October 2016 requiring Airbnb renters to secure a “registration number” for each listed property. The deadline for compliance was December 1, 2017. But by mid-January 2018, roughly 80 percent of the platform’s listings had failed to do so, according to a study by Le Figaro. Growing frustrated with the continued presence of unregistered listings on Airbnb, the city hall filed suit in April against the platform and German rival Wimdu. 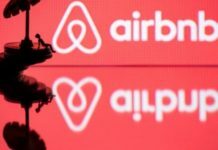 “We must hold the platforms responsible,” said Brossat at the time, contending that 84 percent of Airbnb’s listings were legally invalid. 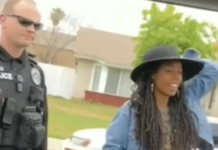 “Airbnb today is fine with not respecting the law,” he added. 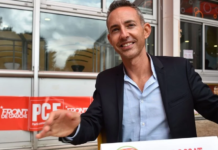 The Paris official, who also leads France’s Communist list of candidates for the 2019 European election, struck a similar tune this week when revealing 2018’s record number of fines. “Today, we are punishing the landlords, but we are not touching Airbnb, which nonetheless makes money on these illegal listings. That’s going to change,” he declared Wednesday to FranceInfo. 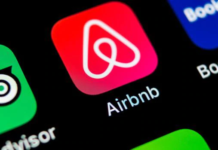 Airbnb representatives said the company favors regulation, calling the 120-night threshold “a sensible rule.” But they said banning unregistered listings is a “disproportionate” response that would hurt casual renters. “This broken registration scheme will only preserve hotel lobbies’ interests while failing to address local concerns on housing,” a company spokesperson said. The Union for the Promotion of Vacation Rentals, an industry group for Airbnb and similar services, opposes the law. Sources familiar with the platforms’ strategy said it would create a “damned if you do, damned if you don’t” scenario: Either face massive fines, or sacrifice the majority of listings. Those sources added that many infrequent renters — the type city hall says it’s OK with — will be unlikely to go through an onerous registration process since they only sublet a few nights per year. Additionally, they said renters are likely to be dizzied by registration rules that vary from town to town, or scared off by the prospect of thousand-euro fines. Brossat disagreed. “Someone who is capable of placing a listing on Airbnb is absolutely capable of recuperating his registration number,” he said, promising the process only takes three minutes.